Editor’s note: I take people out on Animal Communication wild dolphin swims every June in Bimini, Bahamas, through Dolphin Expeditions. The company has an amazing crew. The experience is like nothing else on the planet. Alex, the wonder guide of Dolphin Expeditions, was leading the Sting Ray – calamari feed on the second day of the dolphin trip. Alex has a degree in Marine Science and loves sharks. She was an intern at Shark lab here in Bimini, Bahamas and goes as crazy over sharks, as we do over dolphins. On the second day of the Dolphin trip, we were in Honeymoon Harbor. The group of us made a circle and the Captain gave us calamari to give out lavishly to the sweet sting rays as they floated over each of us. Alex was thrilled to see sharks come into the circle of humans with the sting rays. 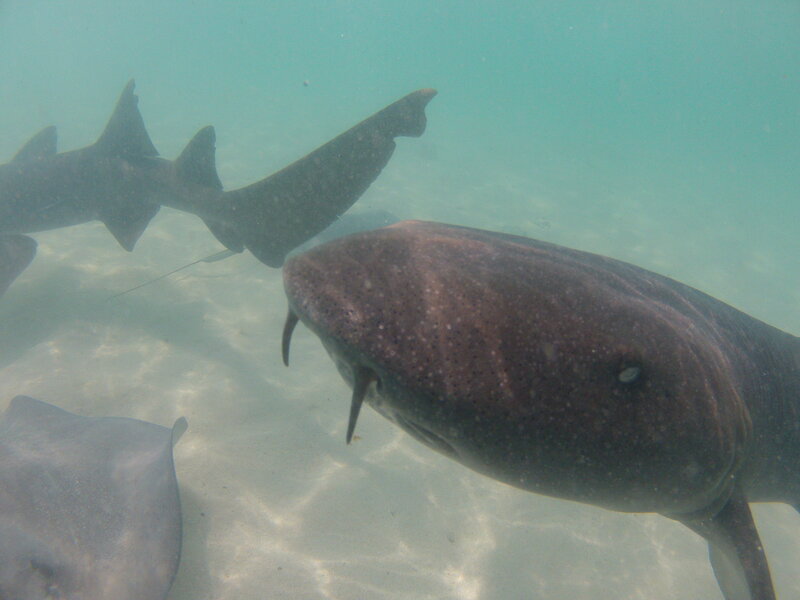 Not just one, but two nurse sharks joined, intrigued of course, by the calamari. 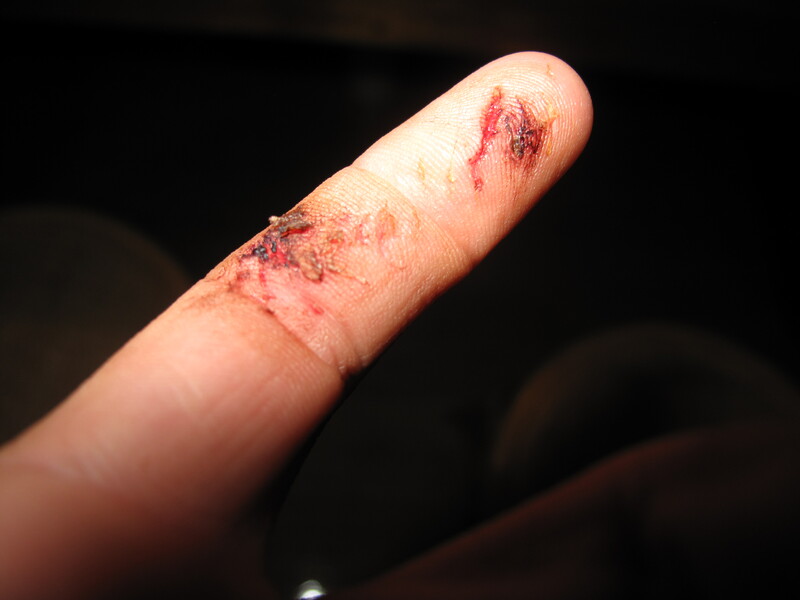 She pulled her bleeding finger out of the water and noted it was still intact. Fortunately we were in the salt water, so she cleaned it off as best she could and carried on with her duties of being the safety expert, leader of the reef swim, photographer and chief shark feeder! When we returned to the boat, she cleaned her finger off and we applied Trace Mineral Concentrate. Alex noted that the stinging from the Trace Minerals may have been worse than the shark bite itself! 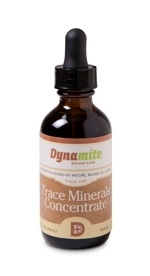 We were all impressed with how clean the Trace Minerals left the wound. 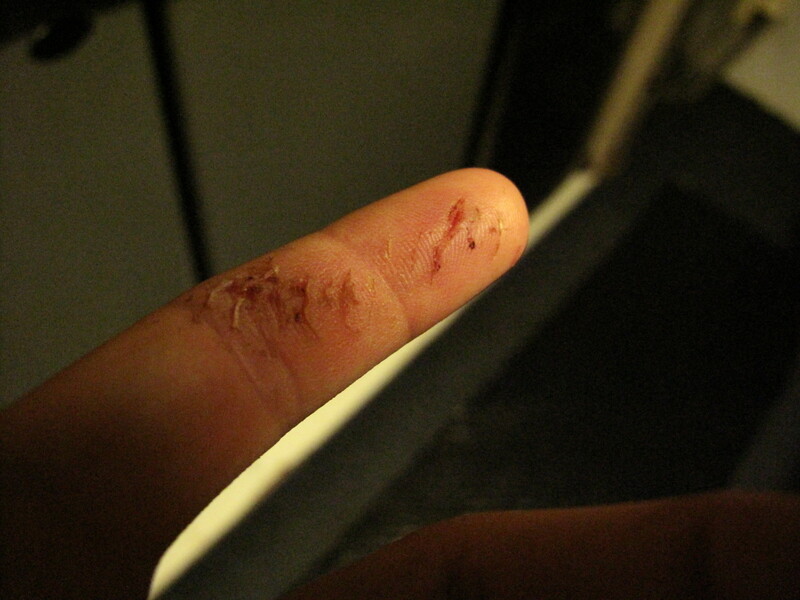 It cauterized any residual bleeding from cleaning it off. In fact, we were able to see the results of the fact that sharks have multiple rows of teeth! It was like a science experiment at Alex’s expense. The outcome of several days of Trace Mineral application is that we were able to see clearly that the top row had 14 teeth, the bottom row had 6 teeth and another row of teeth left 5 marks. 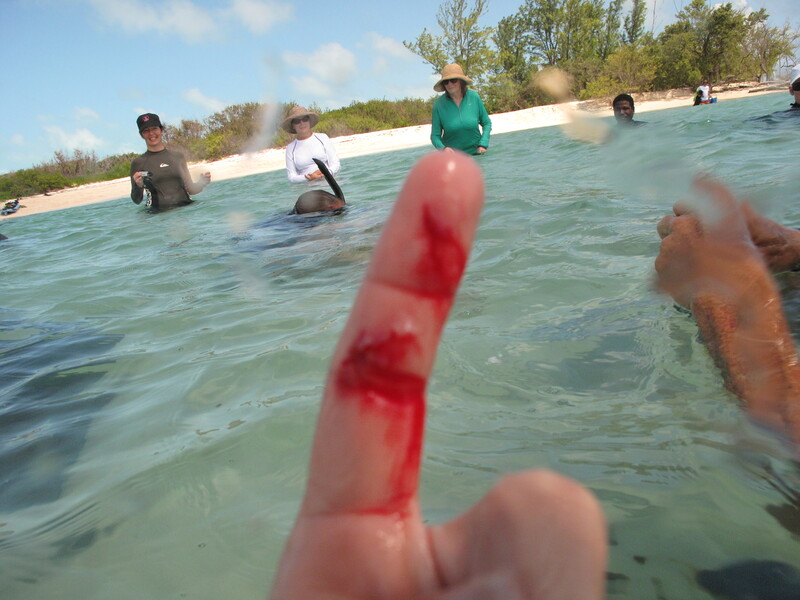 I must say, if you are going to have a shark bite, and you have trace minerals, it is a pretty beautiful scar and certainly gives you a little ocean swag! I have been a Dynamite Distributor for 13 years. I love what the products have done for myself, my dogs, cats, horses and my clients. Now I have a shark bite to add to the list of things I love about Dyamite products! If you are interested in the products or becoming a distributor, go to: www.dynamitemarketing.com/joanranquet. For more information about Animal Communication sessions or workshops, go to: www.joanranquet.com.